The first rank that EVERY boy (except Lions) earn when entering the Cub Scouting Program is the Bobcat rank. Show the CUB SCOUT SIGN. Tell what it means.Make the sign with your right hand and with your arm held straight up. The two fingers stand for the Scout Oath and the Scout Law. They look like a wolf’s ears ready to listen to Akela. 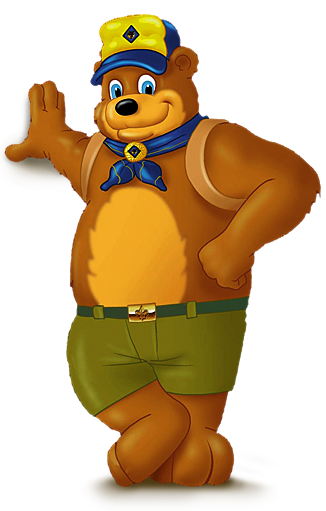 Give the Cub Scout Sign when you say the Scout Oath or Scout Law. Show the CUB SCOUT HANDSHAKE. Tell what it means.Using your right hand, place your first two fingers along the inside of the other scout’s wrist. This means that you help each other remember and obey the Scout Oath and Law. Give the CUB SCOUT SALUTE. Tell what it means.Point your first two fingers of your right hand out straight and close together. Touch the tips of the fingers to your cap or if not wearing a cap then to your eyebrow. A salute is a way to show respect. When you salute a leader (either adult or other scout), you show him or her that you respect their position. When you salute the flag, you show that you are proud of your country.